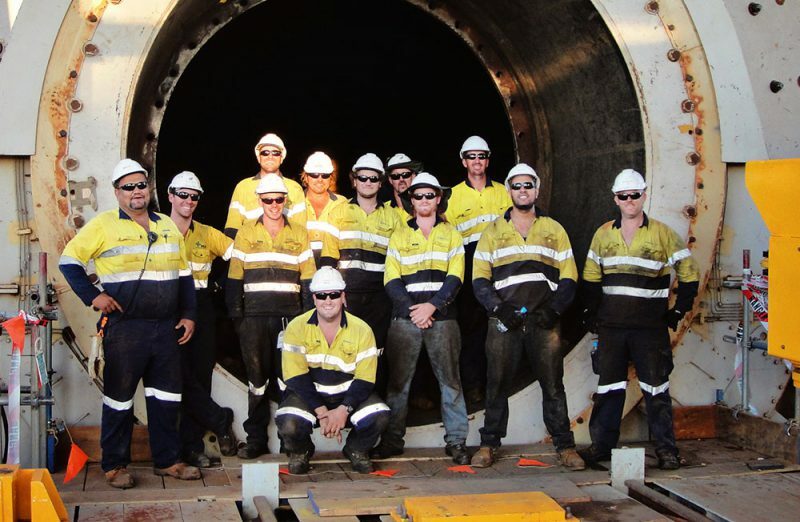 Our mill relining personnel have performed projects for clients across the world. With over a century of collective expertise, our knowledge of Ball, SAG, AG, Cement, and Vertical mills sets the benchmark in the execution of safe, efficient & professional mill reline projects. The leadership team at Relines Australia are career professionals. Our supervisors know the business inside out and have earned industry recognition for their skills and experience. They all share our vision of providing a professional, personalised service that is unparalleled in the resources sector. We also work in conjunction with mill lining suppliers, equipment manufacturers, site personnel and engineering companies, therefor providing a unique approach in offering impartial & practical advice based on our experience on multiple sites. Our retention rates and company culture attract people for the long term. Collectively, our management team alone holds over 100 years of experience and most of our core reline personnel have been employed for several years meaning you get reliable, experienced, skilled and safe contractors on site. The longer our staff are with us, the more familiar and efficient we become with your mill, which is why we place company culture and development at the top of our priorities. Relines Australia fully owns and maintains all of our equipment. We can provide LRT’S, Jibs, Mill Masts, Mobile Over Head Cranes, Mono-Rails and other specialised mill reline tooling. We also provide service & maintenance personnel to maintain the reliability of your reline machines if required. This reduces the number of contractors on site as well as provides tangible efficiency in safety, performance and equipment downtime reporting. We pro-actively invest in equipment that provides solutions to our clients meaning lower capital costs. These investments ensures peace of mind & reduced reline duration’s for sites with limited equipment & infrastructure. There’s not many relining companies that can put an LRT on the back of their truck and have it on site for the same or next day. This flexibility provide our clients with piece of mind. Relines Australia understands that in order to thrive, we must look to continually improve all aspects of our business. Our approach to this has seen us emerge as the only dedicated mill relining provider to maintain AS4801 Safety Management System. Unlike our competitors, we do not prioritise revenue streams and have remained focused on continually improving on what we do best. Our customised software and systems allows optimised project planning, scheduling & reporting which enables us to achieve cost efficiencies & stronger service delivery.